According to the Bulgarian Export Insurance Agency (BAEZ) the high inter-company indebtedness continues to be one of the most serious problems of our economy. Bulgarian companies insure the risk of non-payment only after they have already “burned”. Financial risk insurance is, in general terms, the commercial credit insurance, ie. the risk of non-payment and bankruptcy of business partners with deferred payment. There are several factors that lead to growth in the commercial credit insurance market. The world is more and more connected than ever before, with faster and more effective communication. Finding new partners is becoming easier, but the risks remain – this type of insurance gives companies the confidence to trade and invest in new markets, to work with new customers. One of the major credit risks faced by companies trading abroad and perhaps combining all other risks under one hat is defining and overcoming the cultural differences of the respective foreign territories. Companies that sell goods or services on foreign markets or move their businesses abroad face serious challenges because of the obvious cultural differences, the danger of not knowing in detail the local legislation, but the most common danger is that companies do not know their own client and its ability to pay. Surveys on the Mediterranean payment culture show that in the past years it has averaged payment terms of up to about 120 days, and Western Europe traditionally represents a market with around 60 days of deferred payment. The combination of the impact of global recession and globalization has changed the profile of the user of this type of insurance. He is already looking for this service not so much to limit the risk, but by enabling the company to maintain or increase its growth, to start working with unfamiliar clients, while at the same time trusted their ability to pay correctly, providing their commercial credit. Much of the managers of insurance companies and brokers in Western European countries say that multinationals have an increased appetite for financial risk insurance, which is generally a rather stimulating fact about the potential for increased consumption of this specific insurance product. The interest in these products by multinationals is mainly due to the clear awareness and understanding that the claim is an important asset of the company for which more care should be taken. According to analysis of the magazine “Trade & Forfeiting Review”, insurers are positively inclined to accumulate a new business in 2014, although some concerns remain. In the publication, members of the International Association of Credit and Securities Insurers (ICISA) * commented that in 2013 the growth of the new business is negatively impacted by the continuing economic and political disruption around the world. Insurers, however, are optimistic about boosting business in 2014, expecting growth in Asia, NAFTA ** countries, southern Europe, Germany and Russia. Robert Nijhouth, ICISA CEO, claims that the traditional efforts of the members of the Customer Search Association are targeting OECD countries ***, but the largest are already turning to emerging markets where this business is still in stage of growth and demand is rising. There is great potential for deployment of commercial risk insurance services in Asia, Latin America, Central and Eastern Europe. Not only in the local market, but also globally, companies continue to struggle with the effects of the financial crisis, regardless of their sphere of activity. That is why BAEZ strives to continue to play the role of an organization aiming to support the Bulgarian companies on the international market and to protect them from possible losses in the realization of their transactions. This is also evidenced by the high acceptance level accepted for the year – 91% of insurance coverage is provided in 2013 and 90% in 2012. High inter-company indebtedness continues to be one of the most serious problems in the local market, leading to a 12% growth in insurance covering the risk of non-payment between counterparties on the territory of Bulgaria. At the same time, BAEZ reminds that the export insurer not only insures. Preliminary research and evaluation of partners, as well as defining recommended credit limits for deferred payments with them, is in essence providing advice and advice to companies. Some of the customers, especially larger companies and those with foreign management, ripen for the decision to turn to the insurer. This is logical because the insurance of any kind of financial risks is a regular practice in the Western European countries, where the parent company is mostly located. Unfortunately, in most cases, Bulgarian companies take this step only after they have had a negative experience of non-payment by their counterparts or unsuccessful attempts to collect overdue receivables. * The 50 private ICISA members are the main insurers and reinsurers of commercial loans and guarantees. They insure more than 95% of the global commercial and credit business – typically short-term deferred payment coverage and some credit-based documentary operations. It is the first credit-insurance association founded in 1928. Its members play a key role in providing over $ 2 trillion of coverage. insured trade receivables, and billions of dollars in building, service and infrastructure. ** The North American Free Trade Agreement (NAFTA) has been in force since 1994. Frequently under this name is the very free trade area created by the agreement with Canada, Mexico and the United States. *** The Organization for Economic Cooperation and Development (OECD) is an international economic organization of developed countries (34 member states) in order to stimulate economic progress and global trade. It was founded by the European Organization for Economic Cooperation (EIC), founded in 1948, to coordinate Marshall’s plan to rebuild Europe after the Second World War. Later in the organization are also non-European countries. 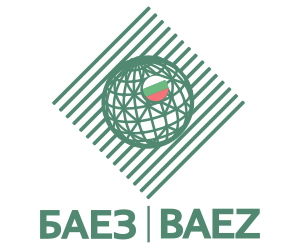 **** The Bulgarian Export Insurance Agency (BAEZ) is an insurance company that offers insurance against financial risks – against commercial risks (late payment or insolvency of counterparties) and political risks in the country of the realized export. BAEZ was founded in 1998, the capital is 100% owned by the state. Its main purpose is to assist Bulgarian exporters in international markets.